Today, with the release of the biological opinions, federal fish agencies and the water agencies held a media call. On the call was Paul Souza, Pacific Southwest Regional Director for US FWS; Barry Thom, West Coast Regional Administrator for NOAA Fisheries; David Murillo, Regional Director for Bureau of Reclamation Mid-Pacific Region; and Michelle Banonis, Assistant Chief Deputy Director at the California Department of Water Resources. “By way of background, the California Department of Water Resources and the Bureau of Reclamation have proposed to build the California Water Fix, which is an infrastructure project that would construct two tunnels to convey water from the north to the south Delta. The purpose of Water Fix is to modernize water infrastructure and provide a secure and reliable source of water to meet the needs of farmers and communities, while also addressing the needs of fish and wildlife. “US Fish and Wildlife Service and the National Marine Fisheries Service are charged with reviewing the effects of proposed projects like Water Fix on threatened and endangered species, and other trust resources like migratory birds. Our role is to complete a rigorous and independent review using the best available science and to produce a biological opinion as required under the Endangered Species Act. While impacts to imperiled species may occur, we work with the project proponents to adopt measures to avoid and minimize those impacts to the maximum degree practicable. “Our assessment of Water Fix is now final. It was reviewed in detail by a panel of independent scientists, and represents the culmination of a tremendous effort by our own scientists. I really want to acknowledge all of the work that our team put into this effort. We have concluded that Water Fix will not jeopardize threatened or endangered species or adversely modify their critical habitat. We have documented some impacts from construction; and we have worked with the Department of Water Resources and the Bureau of Reclamation to develop a plan to restore habitat, to minimize and mitigate those impacts. “We also believe that Water Fix will, by routing water supply through the tunnels, reduce entrainment of fish from the state and federal water pumping facilities in the south Delta, which has been a concern in the past. In addition, we recognize that a number of future decisions will address important details related to Water Fix construction and final operations, especially the new water management operational plan for the Central Valley Project and the State Water Project. “We are committed to being a full partner in these efforts in the coming years to ensure the needs of fish and wildlife are addressed. Investing in conservation and infrastructure can help address the needs of farmers and communities and fish and wildlife. It’s also important to recognize that rainfall and snowpack have a pivotal role to play in any given year. We know we’ve seen significant drought conditions in recent years, and in years like that, it simply difficult to meet all needs. This year we had a welcome reprieve from drought, but all of the water in the system has challenged existing infrastructure. It’s really important to us that all partners continue to improve the health of the Bay Delta so it can help meet all needs to the maximum extent possible, whether it’s dry or wet years. “To that end, we really want to acknowledge the leadership of the state of California and our other partners in other efforts such as Eco Restore, which is restoring key habitat to the tune of some 30,000 acres, and also important efforts like the Delta smelt and salmon resiliency strategies, which are taking actions to improve the condition of imperiled species. We have and will continue to be a full partner in all of these efforts. “In addition, we will continue to manage our national wildlife refuges and our other facilities to meet the needs of migratory birds and other species, working closely with farmers and many other partners to conserve fish and wildlife. “First of all, I did want to also recognize the tremendous amount of hard work from both our internal staff working on this project and getting these biological opinions completed, as well as the tremendous support and help from the Department of Water Resources and the Bureau of Reclamation in moving these opinions forward. “For the National Marine Fisheries Service, for our trust species, we have developed a final non-jeopardy biological opinion. Those species include salmon, sturgeon, steelhead, and endangered and southern resident killer whales on the NOAA Fisheries side. The analysis within the Fisheries Service biological opinion did undergo independent review by the Delta Science panel; we relied on that review and benefited greatly from the suggestions provided in that review. “In developing our final biological opinion, based on the impacts of some of the initial projects, we did work with the Bureau of Reclamation, Department of Water Resources, collaboratively over the past several months to make changes to the proposed action to help deal with some of those operational and construction related effects to reach our non-jeopardy conclusion, so it was really a collaborative process to keep this project moving forward in a way that minimizes impacts on our protected species. “The opinion also does include a revised adaptive management program and implementing agreement that will allow us to make iterative adjustments as the projects are implemented and tested over time, and we look forward to continuing on as we work through these projects. This is really the first step in the overall implementation and decision making and construction on these projects. “On behalf of the California Department of Water Resources, I would like to thank the US FWS and the NMFS for their significant efforts in putting together the biological opinion for California Water Fix. We feel this is a momentous step towards the future and we feel that this will help in the future in balancing between water and environmental resources in California. 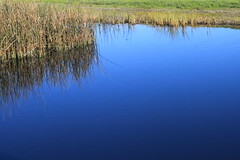 “The issuance of the biological opinions is a major milestone towards the California Water Fix. At Reclamation, we’ve worked with both agencies in the development of the biological assessment and the biological opinion. As with all biological opinions, we work with both agencies. We provide comments and then we receive the final biological opinions. “Right now, Reclamation is currently reviewing the biological opinions and determining what the impacts are, and then we’ll determine next steps. Question: In the draft biological opinions, there was some language, particularly from Fish and Wildlife saying that the tunnels could actually decrease the abundance of Delta smelt, and there were questions about spawning, migration, and so on. So what has changed? How is this different and what sort of mitigation steps do they have to take to make things better? PAUL SOUZA: “We still have to work out all of the details. We have a commitment from the state to ensure that plan will be finalized in advance of construction being completed, but it will be in the north Delta area in an area where some of those habitat impacts are likely to occur, actually in a place that has better habitat for the species today, so we’re hopeful that restoration effort is going to provide an increase in abundance of fish in that part of the system. Question: What are the next steps for Reclamation? Question: Earlier this year, an independent review panel found serious deficiencies in the draft biological opinion. Among those that the Delta would be too salty for this habitat restoration to work. Could you address that as well as the impacts on Delta farmers who are worried that their farmland will be too salty to farm? Question: Regarding habitat restoration, some of the views I’ve read from the independent scientists, they talk about how it will take a really long time for habitat restoration to actually take effect and have benefits to the species, so given the precarious space that the fish are in, how are you going to protect them in the short term until habitat restoration actually does the job? PAUL SOUZA: I think it’s important for all of us to remain vigilant. Clearly we have a number of species that are imperiled. We work on a daily basis with the Bureau of Reclamation and Department of Water Resources. Our counterparts at the Department, DFW, those 2008 and 2009 opinions provide some sideboards to help protect the fish and strike the balance between the needs of farmers, communities, and fish and wildlife, so we’re going to need to continue that level of engagement. I think the long-term operations process offers an opportunity to think broadly speaking about the needs for the health of the Delta. 30,000 acres of habitat restoration through Eco Restore, the Delta smelt and salmon resiliency strategies all have important actions that we can undertake now to help protect these fish and keep them around to reap the benefits of restoration. Coming up tomorrow – reactions to the biological opinions.